This new image shows off beautiful and mysterious structures known as superbubbles, which have astronomers scratching their heads wondering how they emit more X-rays than should be possible. Superbubbles are colossal voids stretching hundreds of light years, carved out of interstellar gas and dust by radiation. 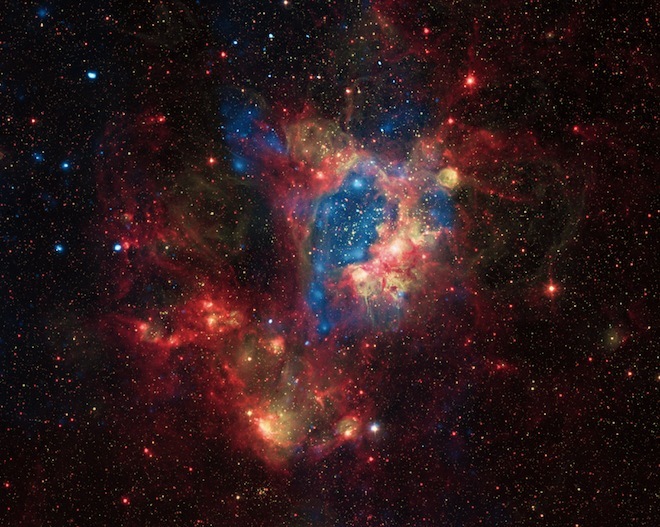 The gas is often heated to nearly 2 million degrees Fahrenheit, causing it to emit high-powered X-rays. As yet, astronomers don’t understand exactly what generates all the powerful radiation that superbubbles emit.